Ahhh, there's nothing quite like a readathon, a #flashreadathon, to get the ole reading mojo workin'. I'm sooooo glad we did this because I finished two books and some comics that were huge winners. 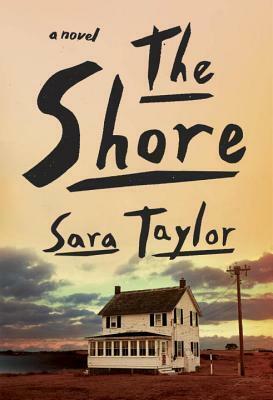 The first book out of the box was The Shore by Sara Taylor. This is labeled a novel, but it's made up of short story-like chapters each dealing with a different character. Like many of my favorite novels/connected short story collections, this one is wonderfully written, and I eat up the challenge of keeping up with who shows up in one story and later pops up in another and how they're all connected. I went into the #flashreadathon only about 1/3 of the way into this one, but I read the majority of it on Friday night and finished it up on Saturday morning. I intend to write a review of this one in the coming week, but if you've already read it, you might want to check out the Socratic Salon discussion. 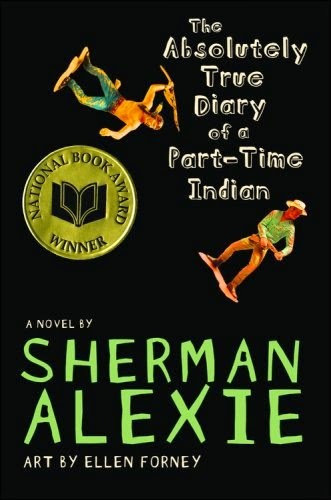 On Saturday I started The Absolutely True Diary of a Part-Time Indian by Sherman Alexie. This one has been on my e-reader for a good long time. I've read a few pages here and there, but until this weekend it never stuck. I had my doubts about the narrator's voice at the beginning, but I quickly fell into the story and really enjoyed it. Review coming soon! Alex + Ada #15 by Jonathan Luna and Sarah Vaughn broke my heart a little because this is the final issue in the series. I won't say much because I don't want to spoil, but this one felt a leeeetle rushed in light of earlier issues. That said, I still enjoyed it, and it left me very sad to see the characters go. I'll miss them. Gotham Academy #7 by Becky Cloonan and Brenden Fletcher was so fun! It's always so fun, but this one was extra fun. 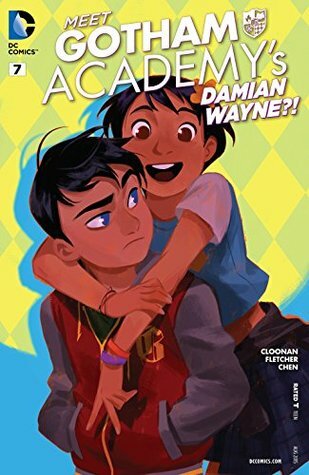 One of my favorite quirky characters, Maps, does a little unintentional magic and gets stuck to Damian Wayne...yep, Bruce Wayne's son. Cuteness and adventure ensue. Sunday was a bit of a wash (pardon the pun) with lots of rain and flooding in our part of Texas. I spent some quality time with David for father's day before he skipped town for work. Then I had to figure out a dry, passable way to get to Greyson to bring him home. Ack! These are not our normal Texas Summer Problems. All is well, but I was not much into the reading mood as you can imagine. I think I'm going to read Adé: A Love Story by Rebecca Walker next. I've said this several times, but somehow, I think it's going to stick this time! What are you reading? Did you take part in the #flashreadathon? Did it help your reading mojo? You had a great read-a-thon. I just found out this morning that The Shore is set on the Eastern Shore so I'm really excited about reading it. I did! I couldn't get enough. And yes! 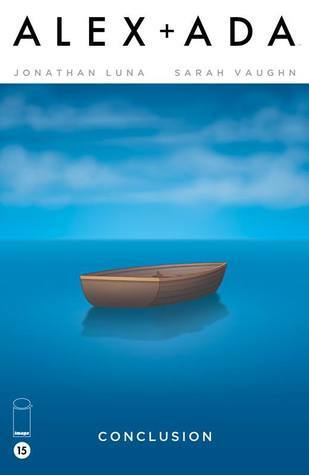 Isn't it great when we're familiar with a place? Changes everything. Ooh, I bet that was great. I've never read Erdrich, but I intend to change that. SO GLAD you loved The Shore. It's just such a great book, I want to read it over and over again. Can't wait to read your review! It was amazingggg! I want more like this. If they were all like this, I would always feel fulfilled by my reading. You had a great flash readathon! I pretty much gave in to #FerranteFever and finished book 2 of her Neopolitan novels, The Story of a New Name, Friday night and immediately downloaded the third... read 25% of it Saturday, but no reading at all yesterday. I'm planning to read The Shore sometime this summer. Good for you! If the mood strikes, go with it. I hope you love The Shore as much as I did! So so impressed! Great reading, Andi ;) I take much inspiration from you! Thanks! I really needed the reading. I was starting to have withdrawals. Glad you enjoyed The Shore! That "A Novel" on the front cover really threw me off, but once I got a few chapters in and figured things out, it was awesome (except for the last chapter...at least for me)! I really loved it. The end of that first chapter really grabbed me. The last chapter was surprising, but I enjoyed thinking it over. 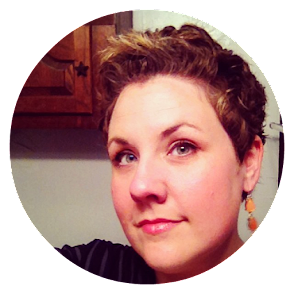 Glad you had a great readathon! Definitely a great way to get your reading mojo back. If this weekend wasn't too busy for me, I may have taken part. Thank you! I wish you could've joined us! It was just what I needed. I only kinda, sorta participated this weekend but I did manage to read a book in one sitting (Kitchens of the Great Midwest, LOVE!) and I since I was a busy bee during the weekend I stretched the readathon into Monday and did it again with Etgar Keret's The Seven Good Years. It ended up being a great couple of days! I've had that very same Alexie on my ereader for a month of Sundays. It's silly that I haven't read it yet! Go you! I just love it when that happens. And twice! How often is that the case? For me...almost never. lol Check out Alexie. It's quick and fun. Right? It was just breathtaking. I know it's a book I'll re-read. I was so bummed that I didn't have time to jump in on the readathon. This is how my summer's been going. Glad it worked out so well for you! That rain you're getting is crazy! I wish you could've joined us, Lisa!